Oblivion Magazine is responsive Tumblr template for any kind of journalists or publishers. Just write an article and assign it to it’s category or even feature it in the infinite carousel. 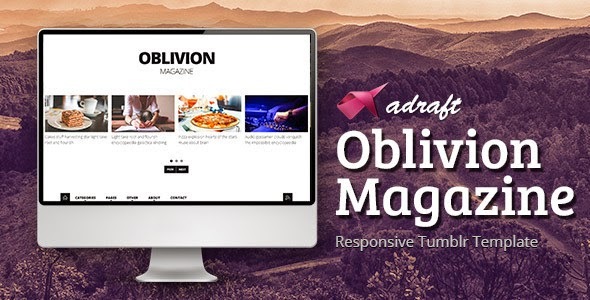 Item Reviewed: Oblivion Magazine Responsive Tumblr Template 9 out of 10 based on 10 ratings. 9 user reviews.